As I mentioned previously, I love rhubarb but plums are a close second. 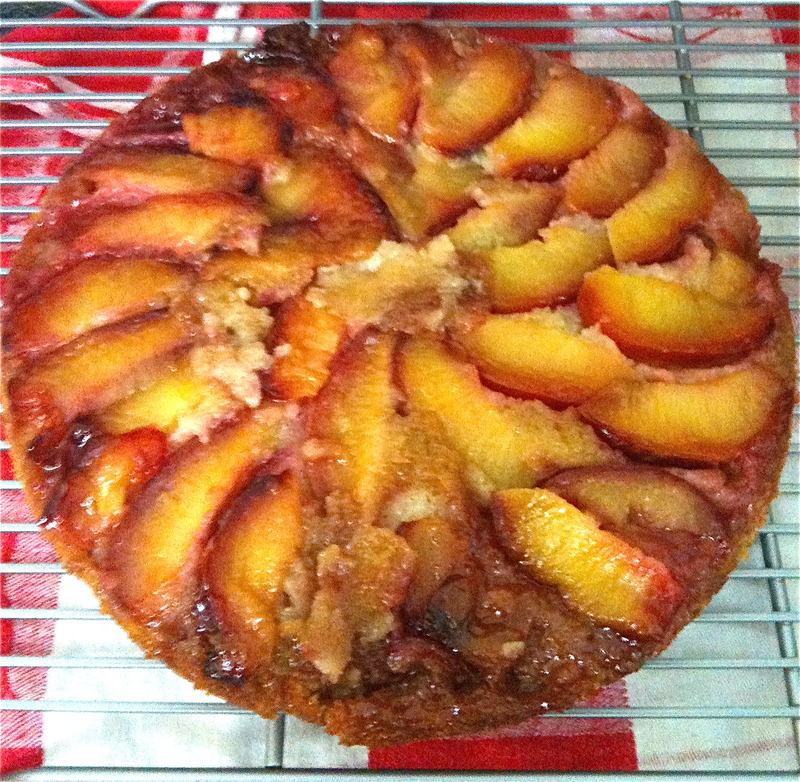 I decided to try a upside down plum cake (pflaumenkuchen), which was my favorite cake when we were living in Germany. I loved how it turned out, and it tasted great served warm with a dollop of vanilla sweet whipped cream. Complement with a latte or a latte macchiato. Place water and sugar into a pan and heat slowly and stir gently occasionally, until sugar dissolves. Continue to heat to almost boiling, syrup should become a caramel color (be careful not to burn). Place the caramelized sugar in a spring form cake tin (~20cm) that has been lined with baking paper. Spread over the paper. Arrange the plums in a circle pattern on top of the sugar. In a bowl place the eggs, icing sugar and vanilla essence, beat until creamy. Fold the butter, into egg mixture. Finally, fold in the flour and baking powder to the butter-egg mixture. Spread the batter over the plums evenly. Place into the oven and bake for 45 minutes or until the sponge springs back. Leave in the form until cool, then gently turn cake and lift the form off. Peel off the baking paper carefully. Let me know if you have any great cake or tarts using fruit….I love trying new recipes. This entry was posted in Uncategorized and tagged cake, caramelized sugar, coffee, desert, dessert, food, latte macchiato, pflaumenkuchen, plum cake, plums, recipe, spring form cake tin, upside down cake on October 11, 2012 by mlwilkie.